The training of the civil service is intended to produce an unquestioning loyalty to the State. What happens when that State is subject to revolutionary struggle and a new regime comes to power? 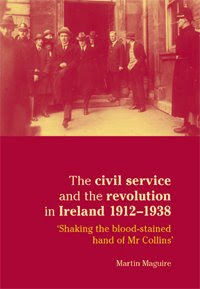 Invited to shake the ‘blood-stained hands’ of the revolutionary leadership and to serve the new State, how does the civil service respond? For more information, including price and ordering details, click here or on the title above.